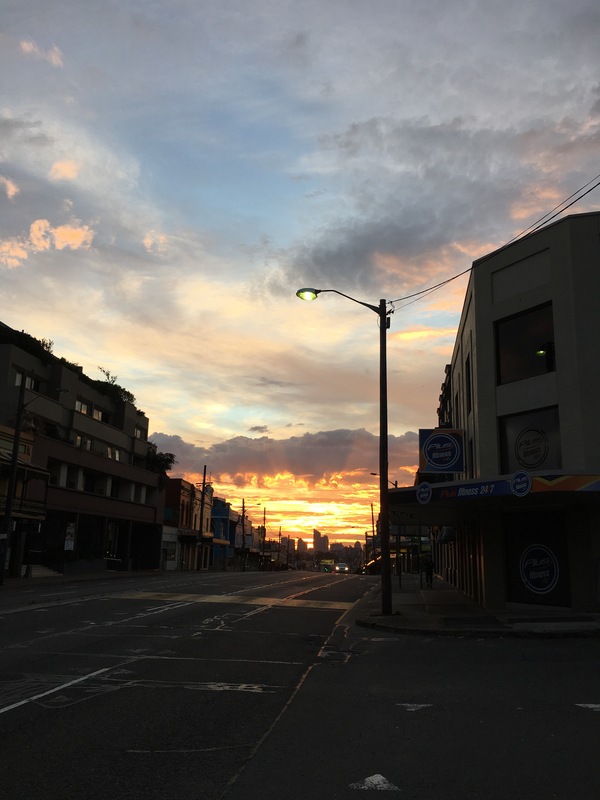 Sunrise behind Sydney CBD on Anzac Day washes Parramatta Road with golden light. Anzac Day, 25 April marks the anniversary of the first major military action fought by Australian and New Zealand forces during the First World War. Twice I tried to comment on the lovely sunrise and the National Day. My course on WWI says the legends vs the facts of the day are hard to untangle. Did you go to a dawn service? No, just the gym, how about you? The picture captures both the desolation and the hope of that day. Well done.